The new and fully updated and expanded edition of the bestselling security classic. 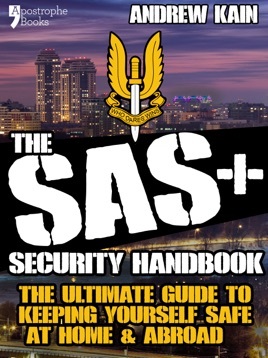 Written by renowned ex-SAS security expert Andrew Kain, this handbook provides the most reliable, authoritative and respected security information on the market. Don’t leave home without it on your smartphone, laptop or ereader! Andrew Kain served in the SAS for 11 years, leaving in 1990 to set up AKE Group, a world leader in the field of risk mitigation. In this fully updated edition he shares his much sought-after security experience, knowledge and techniques – preparing you for anything, anywhere in the world. Whatever your security concerns, the SAS+ SECURITY HANDBOOK will ensure you get the basics right. Featuring valuable case studies and security scenarios, it teaches practical lessons that will reduce your chances of becoming a victim, to help you reassert control over your life. Andrew Kain is the real thing- The most practical and intelligent security guide out there- and a fascinating insight into the special forces community.